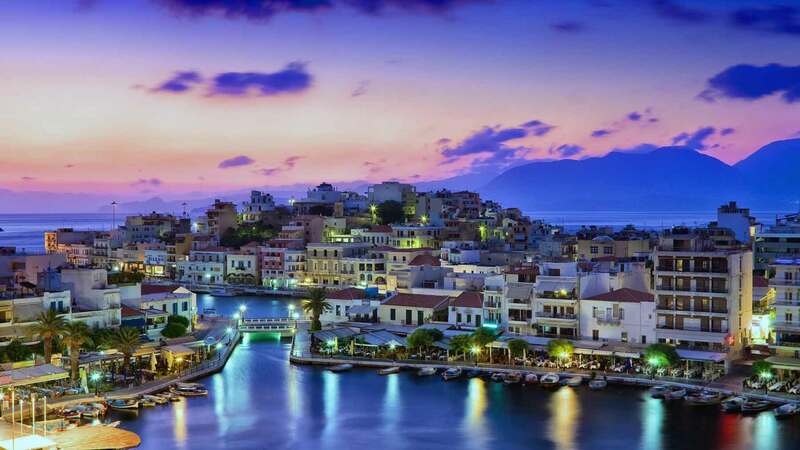 Agios Nikolaos, capital of the Prefecture of Lasithi, is probably best known as a tourist town that serves as a hub to the twenty or so small villages and farms that make up that part of Lassithi. Tourist attractions include the small lagoon Lake Voulismeni, small beaches in the town, the tiny island Agioi Pantes, the archaeological museum, the local flora exhibition “Iris” and numerous fairs. The lagoon features a small park with a trail, traditional fishing boats, ducks, pigeons, an amphitheatre and many cafès. A local urban legend has it that the lake is bottomless. Daphne du Maurier’s short story Not After Midnight was set in and around the town.